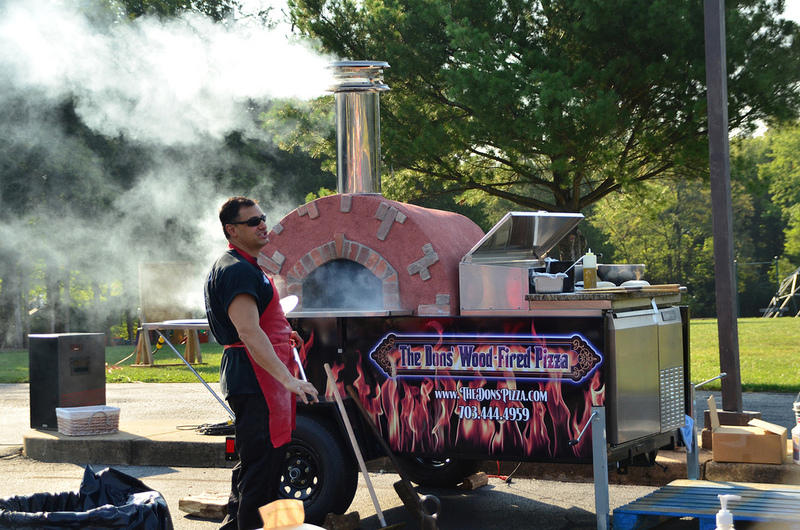 Experience the fire as you and your guests watch the pizzas made before your eyes in our mobile wood-fired oven. Call ahead to discuss how we can create a custom catering package for your occasion! 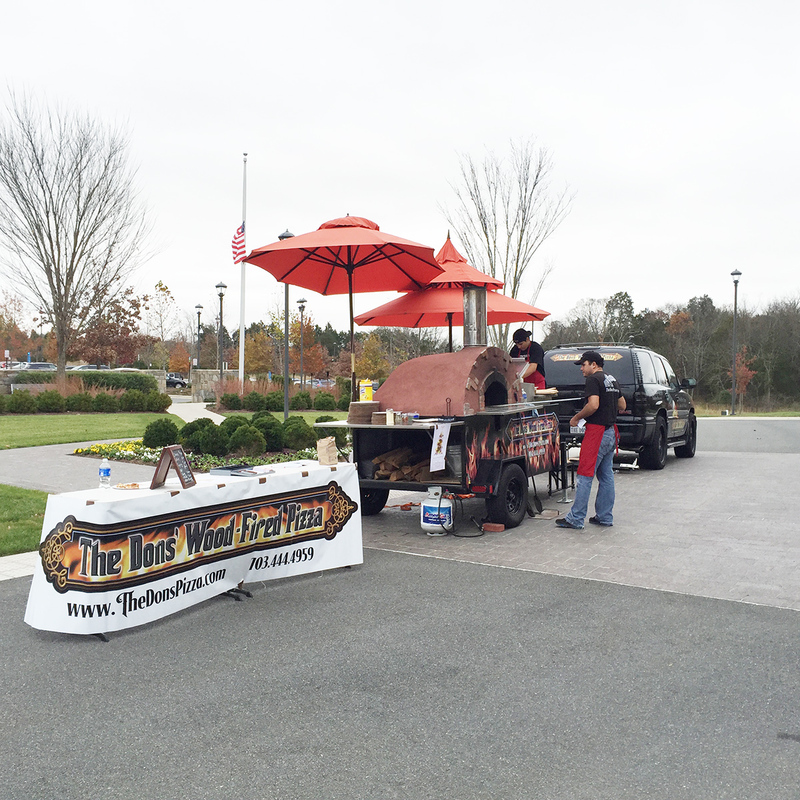 Owner Waleed Zarou warming up the Mobile Brick Oven at a catered event. The crew prepares the mobile brick oven for a special event. 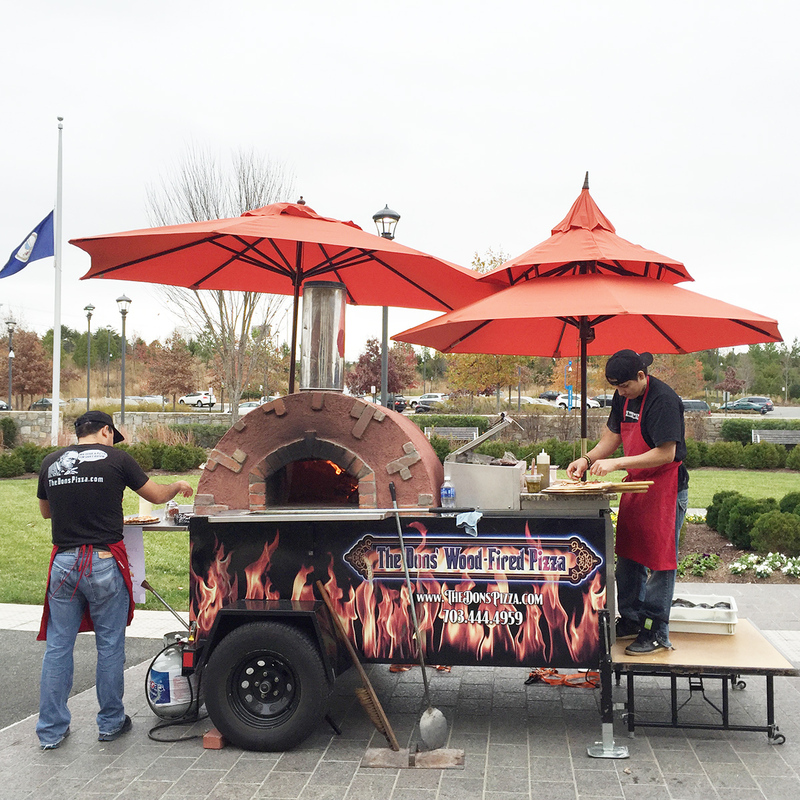 With the brick oven lit, the crew starts preparing pizza for a special catering event in Loudoun County.